When we were in the depths of the economic crisis in the US, the Obama Administration pulled forceful fiscal policy levers to lift the economy back towards growth (Inman 2010).1 When combined with complementary monetary policy and a clean-up of the financial system, the formula worked. In the US, the unemployment rate peaked at 10% and then achieved nearly the fastest decline we have seen in the postwar records, much faster than expectations (see Figure 1). The US was one of the first advanced economies to return to its pre-crisis GDP per working-age population. Our headline unemployment rate has fallen below its pre-recession average and job growth is robust. We still have more work to do to complete our recovery, increase our growth rate, and ensure more of that growth is shared. But the most immediate headwind to our pace of economic growth—and to the growth of many other countries around the world—is the less convincing recovery in several major economic partners in Europe and elsewhere. Note: Annual forecasts are current as of March of the stated year. Black dashed line represents December 2015 value (5.0 percent). Shading denotes recession. World economic and financial policymakers were in Washington last week to discuss what is needed to push the world economy towards faster growth. For much of the world it remains crucial to use fiscal tools to get growth going again right now. This is not to minimise the importance of structural improvements in all of our economies. Indeed, there is always scope to support innovation, productivity, and structural policies that can improve the supply side. But as recent research by the IMF and OECD has emphasised, structural policies work far better when supported by aggregate demand policies in the short run (e.g. IMF 2016). Demand itself can be boosted with either fiscal or monetary policies. In the current situation, there is substantial reason to believe that economies around the world have been insufficiently relying on the former. First, fiscal policy can be positive sum, expanding demand for the country that engages in it and for the global economy. Second, fiscal policy can not only expand demand today it can, if implemented in the form of investments, expand supply tomorrow. And finally fiscal policy can be especially effective when interest rates are low and constrained by the effective lower bound. In many countries, a failure to use fiscal policy effectively has left global central banks shouldering the burden of lifting demand. 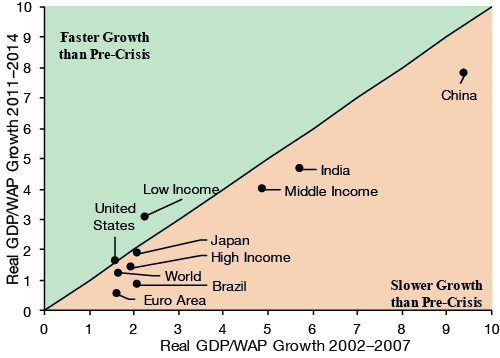 In 2009, world policymakers responded to slow growth with a call to arms and collective action. In the US, without a forceful and multi-pronged response, things could have been far worse given the magnitude of the shock we faced. We are not in 2009 now—in a number of leading economies, including the US, the unemployment rate is back below pre-crisis levels, the banking sector has more capital, and growth is continuing. But global growth has disappointed every year since the bounce out of the crisis. Each year, forecasts suggest growth will pick up. Even though the extent of the expected bounce has been reduced each year, time and again, expectations have not been met (see Figure 2). Relative to forecasts made in 2010, output of the G20 was 6% lower than expected in 2015.2 Growth slower than either the booming mid-2000s or the bounce-back year of 2010 is to be expected. Slowing population growth and aging have shifted potential output in many countries, but even adjusting for the working-age population, growth has been lower since 2010 relative to prior to the crisis in every major economy—some by a considerable margin (see Figure 3). Some of this is due to stubbornly low productivity growth that seems to be afflicting every advanced economy, and some emerging ones too. We need to take steps to raise potential output with well targeted investments in infrastructure, assimilation of new labour flows, and freeing up barriers in the economy. There seems to be clear evidence, though, that disappointing potential output growth is not the full story; much of the world is operating below that potential. Note: Working age population is aged 15-64. Source: World Bank; CEA calculations. 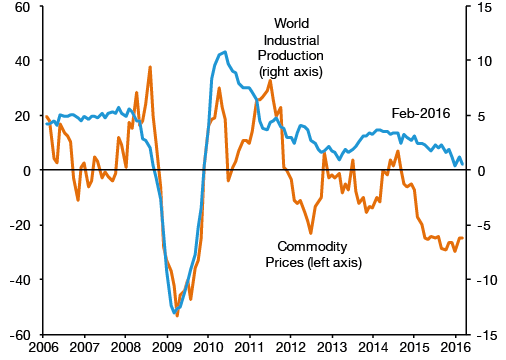 First, we see declining industrial production growth and falling commodity prices around the world (Figure 4). 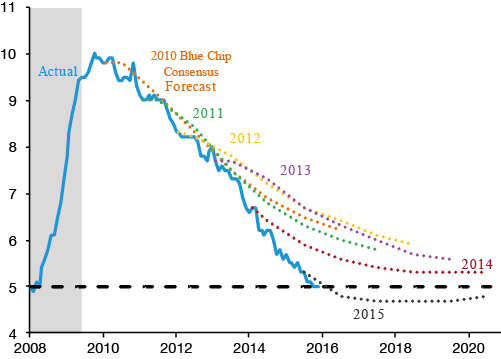 Second, we see nearly every major central bank facing inflation stuck below target. Finally, we see unemployment remaining stubbornly high in some parts of the world, most notably the Eurozone, where it is still above 10%. Put together, it is very hard to see where supply is the binding constraint on the global economy. If it were, capacity constraints would be at their limits and prices would be rising. Even if wrong, the economic situation suggests little risk that the economy would overheat as a result of additional demand. Evidence from the last eight years is clear that policies that support demand also support economic growth. Increased spending and tax cuts had positive effects around the globe while austerity policies generated larger-than-expected contractions. More recently, there has been a general consensus in Europe that extra spending on refugee-related projects would support growth. There is no reason to stop there. With interest rates in Europe testing negative territory even in nominal terms, there is an opportunity to expand infrastructure spending, either at the sub-national, national, or EU level—something recently argued by German Vice Chancellor Sigmar Gabriel (Associated Press 2016). This spending could both lift opportunities for the large number of still-unemployed workers and also increase productivity. Similarly, due to unexpected labour-force growth resulting from new immigration flows, there is a need to lift the capital stock such that productivity and wages can continue to expand. Doing so may require policies that support investment at the national level. For example, if Germany were to expand its labour force by about 1% over the next five years, it would need to increase investment by a little more than 1% a year over the next half-decade to keep the capital-per-worker ratio constant.4 Policies that support private investment ranging from tax incentives to grants at the sub-Federal level may be needed to help push up investment rates. G20 finance ministers have declared that “The global recovery continues, but it remains uneven and falls short of our ambition for strong, sustainable, and balanced growth…We will use all policy tools—monetary, fiscal and structural—individually and collectively to achieve these goals…We will use fiscal policy flexibly to strengthen growth, job creation, and confidence.” There is room for most key economies to play a role given the current low levels of interest rates, the role that expanded output can play in lowering the debt-to-GDP ratio, and the fact that a number of countries have improved their longer-run fiscal situations with pension reforms and other measures. We appear to be once again at a point where concerted action is needed – not on the scale of 2009, but meaningful nonetheless. Associated Press (2016) “German official urges investment spending to spur Eurozone”, 20 April. Council of Economic Advisers (2016) Economic Report of the President, Chapter 3. DIW (2016) “Six questions for Marcel Fratzscher”, DIW Economic Bulletin, No 15/2016, 15 April. Furman, J (2015) “It could have happened here: The policy response that helped prevent a second Great Depression,” remarks by Jason Furman, Chairman, Council of Economic Advisers, Macroeconomic Advisers’ 25th Annual Washington Policy Seminar, 9 September. IMF (2016) World Economic Outlook, Chapter 3. Inman, R P (2010) “Using states for macroeconomic fiscal policy”, VoxEU.org, 15 September. 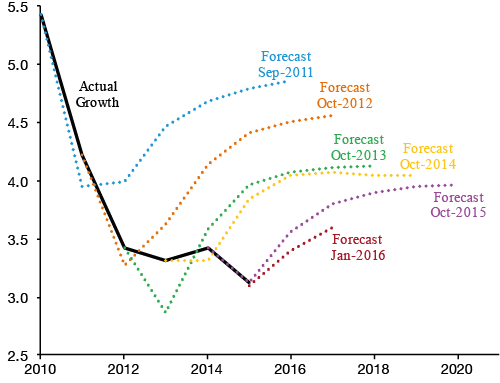 OECD (2015), OECD Economic Outlook, Volume 2015, Issue 1, Chapter 3. 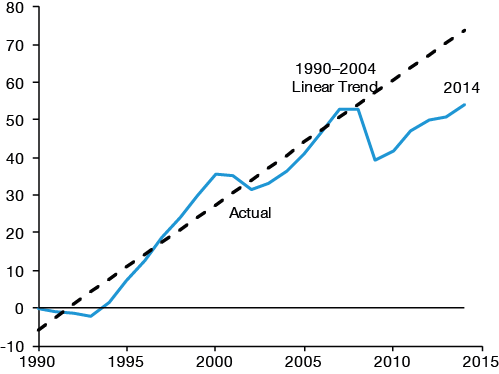 See Furman (2015) for a discussion of the fiscal policy response to the shock in 2008-9. See Council of Economic Advisers (2016) for discussion and calculations. See OECD (2015) for a discussion of global investment and the importance of global demand. See recent discussion by Marcel Fratzscher (DIW, 2016) for a discussion of the need for more private investment in Germany.